The word didn’t come at midnight, but at nearly noon instead. 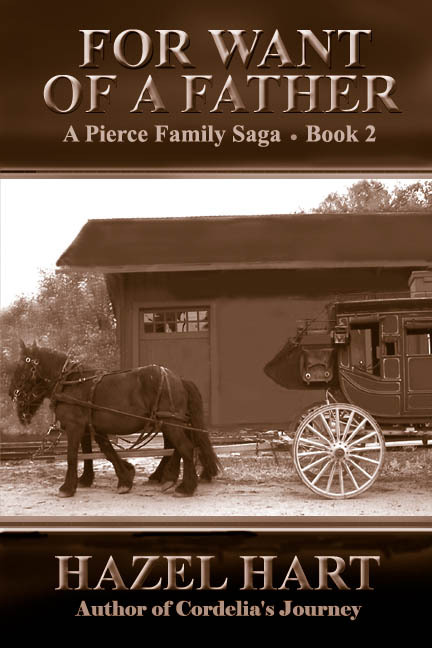 Kindle Press did not accept For Want of a Father for publication. I was disappointed but not surprised. After all, I have nominated half a dozen books by other authors for publication and only one has been accepted, so my reading preferences are not the same as the editors. Or maybe the non-acceptance was for another reason than whether an editor considered the book a good read. Reasons are not a part of the rejection message. Even though my book was not accepted for publication, I did learn a great deal from the campaign process. I will be sharing some of those learned lessons on this blog in the days to come and also at the June 11 District 2 meeting of the Kansas Authors Club in Lawrence. What happens next for the book? 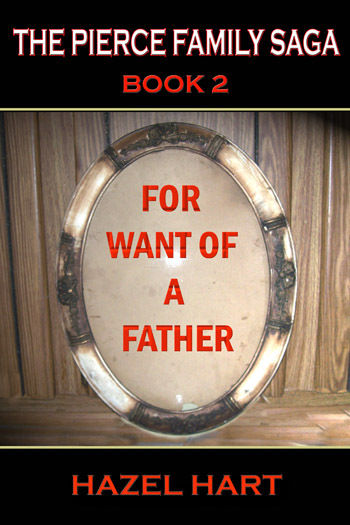 I will be doing a final revision of For Want of a Father and then formatting it for e-book and paperback publication. Projected publication date is June 30. If you nominated the book, Kindle will send you an e-mail when it is available for publication. I will also be running a free promotion during the launch and posting the dates on Facebook and Twitter. Thank you to everyone who nominated For Want of a Father during my Kindle Scout campaign. I appreciate your time and your vote. 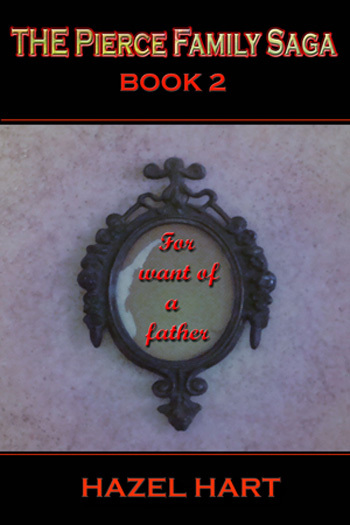 I used the tagline, “Fathers, Daughters, and Expectations,” for my For Want of a Father Kindle Scout campaign. As my character, Lucy, let expectations color her memories, my own expectations caused me to read what wasn’t there in today’s e-mails. This is the second week since my campaign closed, and I have been checking my e-mail compulsively every half hour of so throughout the day, hoping to hear from Kindle Scout. This morning when I got up, the first thing I did was check my e-mail. I scrolled through the overnight messages until I saw it: Kindle Scout in the sender column. I barely noticed the “Thank you” in the subject line in my eagerness to get to the message. When I did read the first line of the message, all my eyes saw were the words at the end of the sentence: “was not selected for publication.” It was not until I got to the words “The author, (name,) wanted to. . . .” that I realized that the name was not mine and the book title was not mine either. It was a notification for a book I had nominated, not my own book. We hear all the time about how we see and hear what we expect. This experience reinforced that lesson for me in my own life, and I will remember it as I write fiction. It’s such a great conflict creator. As for expectations, now that I have received a notice at midnight, I won’t be able to go to sleep until after that tonight, expecting that the next Kindle Scout message may come then; this time one telling me about the acceptance or rejection of my own book. After four weeks, I am tired of promoting. The Kansas Authors Club Convention theme this year is “Imagine.” I am imagining having the money to hire someone to do the promoting for me. An even better thing to imagine is getting that Kindle publishing contract, so here I am making a last push for nominations. The problem: Most of you wonderful people who will read this have already nominated me, and you can’t do it twice. However, if you didn’t get the free download of Cordelia’s Journey, Book 1 of the Pierce Family Saga, you can do so now through April 30. And if you suddenly think of anyone who hasn’t gotten the word about my Kindle Scout campaign, For Want of a Father, please pass the word along. As of today, my campaign page has had 226 views. Fifty-five percent or 124 of those came from those of you who saw my promotion and clicked through. Thank you. Only six days left! I am using my limited Photoshop skills to create a new graphic for the last three days. Any feedback on changes to improve the above image will be appreciated. However, remember my skills are limited. The first book in the series, Cordelia’s Journey, will be on a free promotion from April 28-30 only. For Want of a Father is up for nomination for publication on Kindle Scout until April 30. If Kindle chooses this book for publication, you will receive a free copy of the e-book. 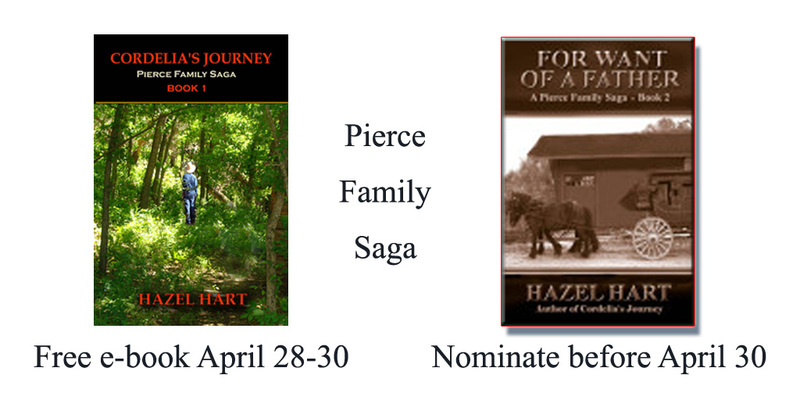 If you like American frontier family fiction, take this opportunity to make your reading preferences known. To everyone who has already nominated For Want of a Father, thank you. Also, a big thanks to those who have re-tweeted my Twitter posts and shared my Facebook posts. My Kindle Scout campaign has had 195 unique viewers so far. I’ll give a final report at the end of the campaign. Also, Kindle Scout will send an e-mail to all who nominate the book, letting you know whether the novel has been selected for publication. First, stockings made of silk, wool, or cotton. Hold those stockings up with garters above the knee. Then add shoes. If stocking and shoes are not put on first, you might not be able to fight through all the layers of clothing to don them once you are fully dressed. Second, drawers, open-crotched for elimination purposes. They are often made of cotton, are knee-length, and button in the back..
Third, an undershirt or chemise. Fourth, a short, knee-length petticoat. Sixth, a corset that begins under the armpits and goes all the way to the hips. Eighth, as many extra petticoats as your fashion sense and budget allow. Now that you have donned all the underwear, or unmentionables as they were then called, you will need to fix your hair and put on your hat before you put on your dress. Because the sleeves of the bodice are so tight that you cannot lift your arms above your shoulders. Who in For Want of a Father would wear all of the above? Aunt May, the society-conscious banker’s wife. Aunt Hilda, the minister’s wife would have fewer petticoats and dresses of more subdued colors. Aunt Hannah would wear even fewer petticoats and sometimes leave off the standard form of dress and wear bloomers. If you have not yet nominated For Want of a Father for publication, please visit Kindle Scout and do so now. There are only thirteen days left in the promotion. In the 1850s, skirts measured as much as ten to twelve yards around the hem. Small pieces of lead were sewn into the hem to keep the wind from lifting full skirts. A woman might wear six to nine ruffled petticoats underneath her full skirts. The entire weight of one dress with petticoats might be as much as forty pounds. Whether a woman wore a cage crinoline (hoop skirt) or layers of petticoats, wide skirts were a fire hazard. Kindle Scout question: What did you learn while writing this book? Answer in 300 characters or less. I have to admit to being fashion blind. I do not notice what other people are wearing unless their clothes are truly outrageous for the circumstances. If someone were feeding the pigs in a ball gown to rival Cinderella’s or someone attended a ball in a gunnysack, that would get my attention. Otherwise, I assume people wear whatever clothes are normal for the circumstances and don’t pay much notice. The result of my fashion blindness was brought to my attention by a critique partner who noted that my characters had no clothes. Given I’m writing historical fiction, I should probably include a few details. After some Google searches, I learned a few fashion details and pinned some pictures on Pinterest. The question is how to include the descriptions without slowing down the story. Below are my original and revised paragraphs. Original: The next afternoon, I stood outside a small room at the back of the church where the women’s bible study group met, waiting for the meeting to break up so I could speak to my aunts. Aunt Hilda was the minister’s wife, so she led the study, and Aunt May attended because she was the banker’s wife and supporting the church was expected of someone with her position in society. Revised: The next afternoon, clutching my borrowed copy of Godey’s Lady’s Book, I stood outside a small room at the back of the church where the women’s Bible study group met, waiting for the meeting to break up so I could return the magazine and tell my aunts that Pa had sent for me. Aunt Hilda was the minister’s wife, so she led the study, and Aunt May attended because she was the banker’s wife and supporting the church was expected of someone with her position in society. My aunts were obviously sisters. May, Hilda, and Hannah were all tall and blonde with blue eyes. It was their petticoats that set them apart. Aunt Hannah swore that too many petticoats interfered with her work managing the hotel and never wore more than four and her skirts hung embarrassingly straight. Aunt Hilda usually had six for an acceptable fullness. It was Aunt May with nine petticoats that rustled and held out her skirts in almost a bell who was truly fashionable. It was finally four o’clock, and Aunt Hilda led a prayer to close the meeting. After the “amen,” women began drifting toward the door, chatting on their way, and I got my first clear view of Aunt May’s new gown as she stood to leave. The dress had no collar, leaving Aunt May’s entire neck exposed, and her skirt was a perfect bell, indicating that she had received the cage crinoline that was advertised in the issue of Godey’s I held in my hand. Aunt Hilda’s face had a sour look, and I wondered if it was Aunt May’s choice of neckline for church wear that caused it. Have I gone overboard with description or do the details add to the story? Let me know. If you enjoyed this excerpt from For Want of a Father, please nominate it for publication before April 30. One of the requirements of the Kindle Scout campaign is that the book must have a cover. In addition, one of the Author Q&A questions I could choose to answer in 300 characters (includes spaces) or fewer was “Tell us about the cover and the inspiration for it.” In 300 characters? Really? Read on and you will see why that was an impossible task. When you don’t have a budget, a talented friend can save you. Yes, my initial cover budget was zero dollars. What saved me was Bonnie Myrick Eaton, my friend and talented Photoshop guru. She spent many hours working through all my ideas, even the early ones that were truly unworkable. Those of you who have been following the blog may remember the empty picture frames. My idea was that the empty frame signified the missing father. The picture frame is one that held my grandmother’s picture, and the background is my kitchen cabinet door. It is easy to see why this didn’t work. Not to give up to easily, Bonnie took a picture of one her frames and tried that. It still wasn’t quite right. I can’t show you the next effort, but the cover was wonderful. Karen Overturf let me borrow two old photographs, and I used them as inspiration for my main characters, Lucy and Cordelia. I was ready to purchase the pictures and use them for the cover when I ran across a disturbing article titled “Copyright and the old family photo.” Besides explaining why a photo of one’s grandmother taken over 100 years ago may still be under copyright, the author includes a chart showing what photos may or may not be under copyright law. Since I had to swear to Kindle Scout that I had the rights to everything I submitted and I couldn’t do that with the photos of the young women, I had to pass on a wonderful cover. Next, Bonnie and I brainstormed for symbols of the fathers. We thought about pipes, pocket watches, and boots. I suggested an empty place at a dining table. Nothing seemed right. Finally, I realized we had been looking at fathers when we should be looking at daughters. The girls were traveling to be united with their fathers. 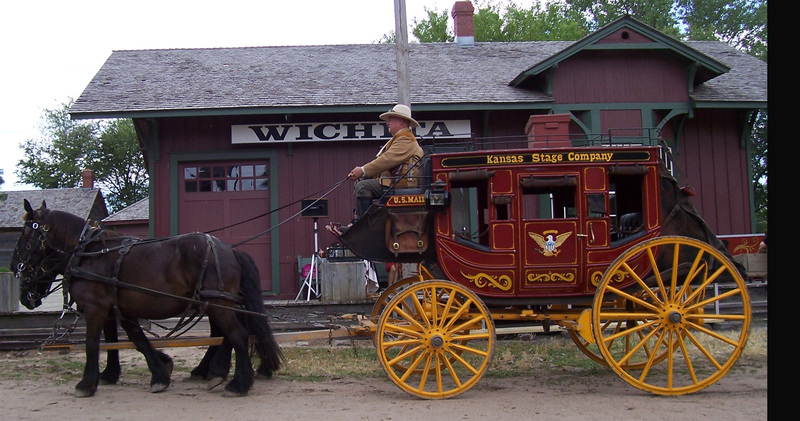 I remembered a picture I had taken several years ago during a visit to Old Cowtown Museum in Wichita, Kansas. Since the girls were traveling by stagecoach, I saw this image as my best option. I sent the photo to Bonnie and she did her Photoshop magic. I also got permission from Old Cowtown Museum to use it. I wasn’t sure if I needed permission since I took the picture, but I wanted to be certain I wasn’t violating any laws. So ends the story of my search for a cover. If you have not nominated For Want of a Father for publication, please do so. If you have, thank you for your support.